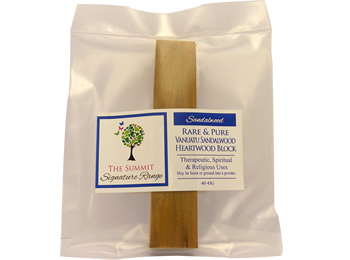 The Summit offers only the finest, premium, unadulterated Vanuatu Sandalwood. 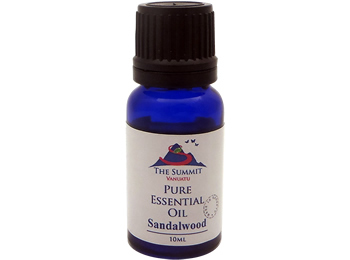 Our 100% pure Sandalwood Essential Oil is an authentic natural product and does not contain any artificial ingredients or plant additives of any kind. Our Santalum Austrocaledonicum oil is rich in alpha and beta santalols which give it a beautiful, distinctive, lingering aroma. This aroma can be enjoyed as a pure oil, or mixed with your favourite ingredients to create a signature perfume. It blends well with almost any oil or floral creating a delightful fragrance. 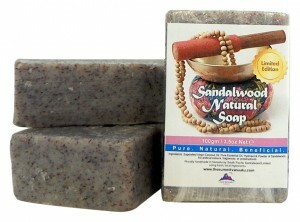 The Indian Sandalwood (Santalum album) is scarce and there is not enough real and pure S. album to satisfy world demand. Our Vanuatu sandalwood ranks extremely close to S. album in many of its qualities, and in fact some people say they prefer Vanuatu sandalwood because of its sweet, rich and mildly woody, sensual and soft aroma but also because it is an ethical choice. Because of over harvesting and unreliable supplies of sandalwood in the world, the Vanuatu Government has encouraged its farmers to plant sustainable, ethical plantations of sandalwood. 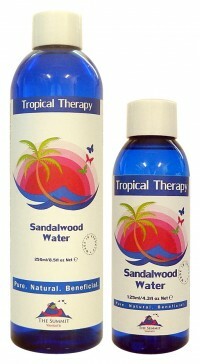 Naturally this authentication adds to the renowned quality of Vanuatu Sandalwood. This is promising for the economic development of this small South Pacific island nation and also for devotees around the world who know and love authentic sandalwood. 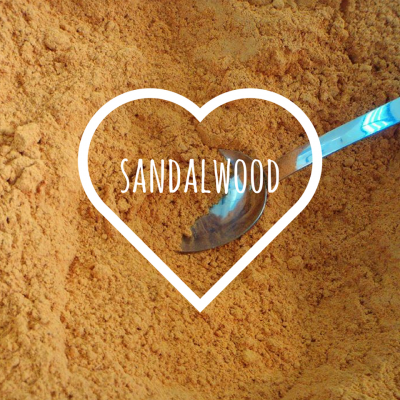 Sandalwood in all of its forms – oil, powder or water – has some of the best skin loving, and skin saving, qualities of all essential oils with its antibacterial, antioxidant, anti-inflammatory, antiseptic and anti-spasmodic characteristics. Sandalwood has been used in the South Pacific islands for over 200 years, with its inhabitants being very savvy about its qualities as a natural perfume, as a natural therapy for their skin and body care, and for their spiritual and religious practices.